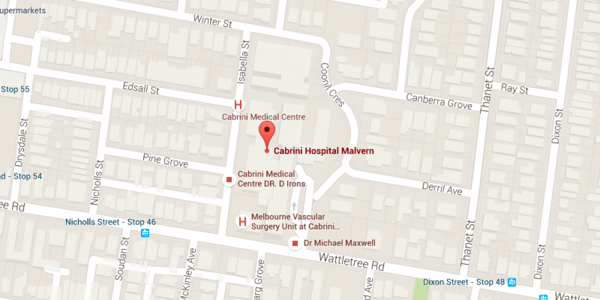 Mr Milne's main consulting rooms and operating sessions are located at Cabrini Hospital, Malvern. The hospital can be entered via the main entrance (on Coonil Cres). At the Main Reception, ask for directions to 'Pathology', Area F, Ground Floor. At the main entrance to Pathology, there is a lift to your right. Take the lift to Level 1 and follow the signs to Suite 37. Limited parking is available on the street. 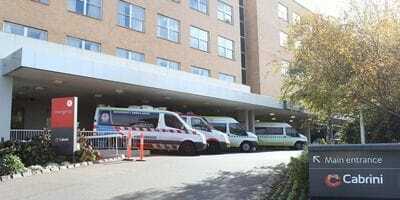 Cabrini Hospital has a visitors carpark which can be accessed via Coonil Cres. If you are booked for a procedure at Cabrini Hospital, our office will provide you with your admission date, time and ward.